Looking to be a part of our Exciting Festivals? seafest_2018_vendor_app_and_rules.pdfThank you for being part of Seafest and making it the best community festival in the north! Prince Rupert Special Events' Vendor Application for Seafest must be completed and submitted to the Prince Rupert Special Events Society office. Further information is available in the Seafest Vendor Permit Rules. Vendors must complete Northern Health's Application for a Temporary Food Service Permit and submit the application to the Environmental Health Officer for approval 14 days prior to the event. Please read Northern Health's Guidelines for Temporary Food Services Premises. You can also download Northern Health's Application for a Temporary Food Service Permit at this site. 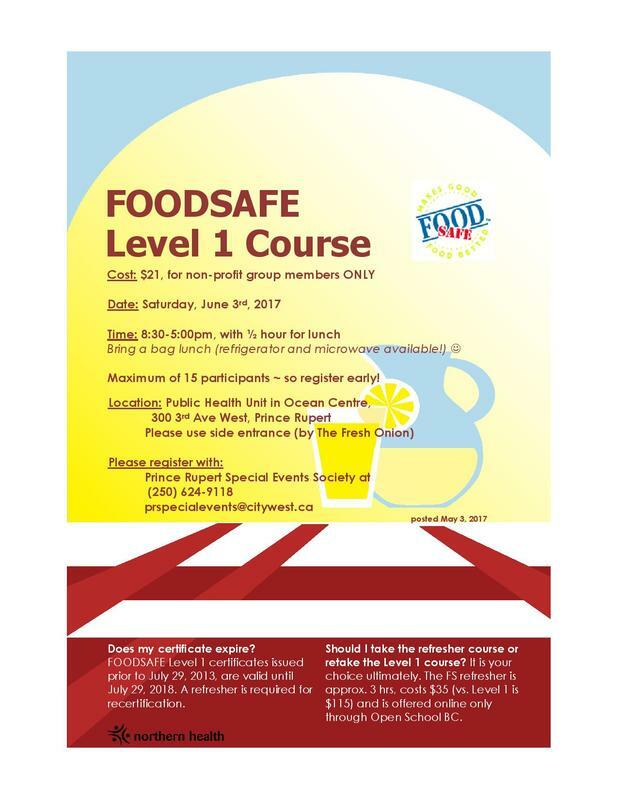 Each food booth is required to have two FOODSAFE certified people. Please review the details in the Seafest Vendor Permit Rules.